Our Latest Innovation: Unity.™ When One Fire Isn’t Enough. 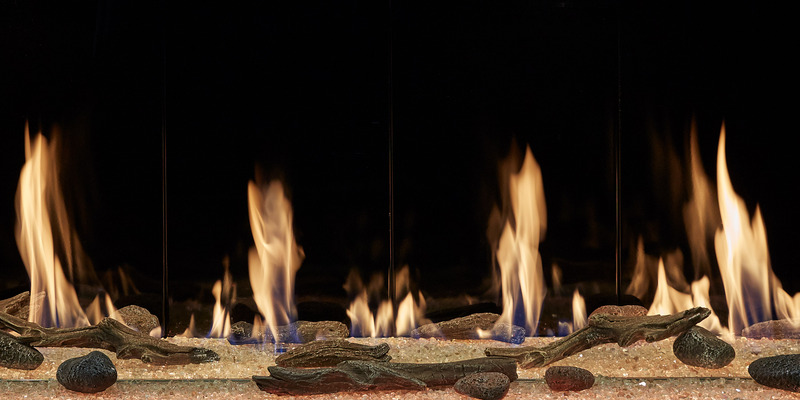 Only DaVinci Custom Fireplaces™ has developed a groundbreaking option that unifies up to five portals of flame to one single system. This new technology allows users and designers to mix and match to create thousands of custom combinations, in configurations such as horizontal, cascading and more. 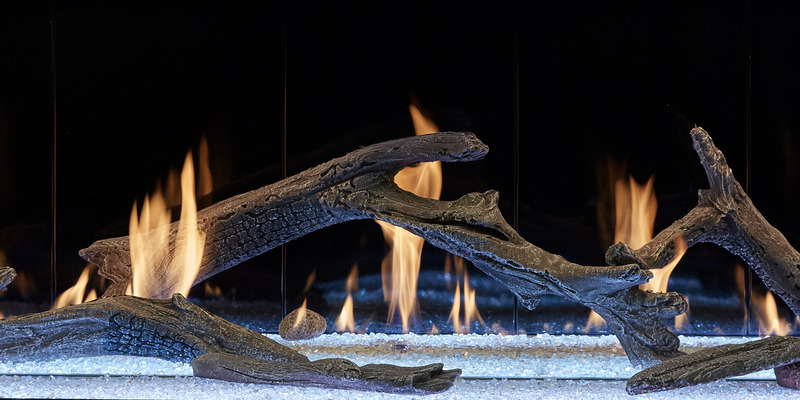 Allow your imagination to run wild as you incorporate fire into your next project. 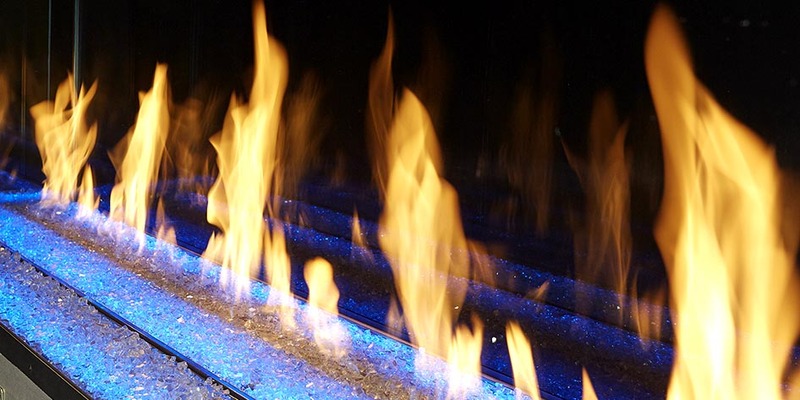 Crystal-clear Safe Touch Glass™—a standard feature for all DaVinci Custom Fireplaces™—maintains extraordinarily comfortable surface temperatures, eliminating the need for a protective screen and ensuring that every inch of your beautiful fire display is crystal clear. 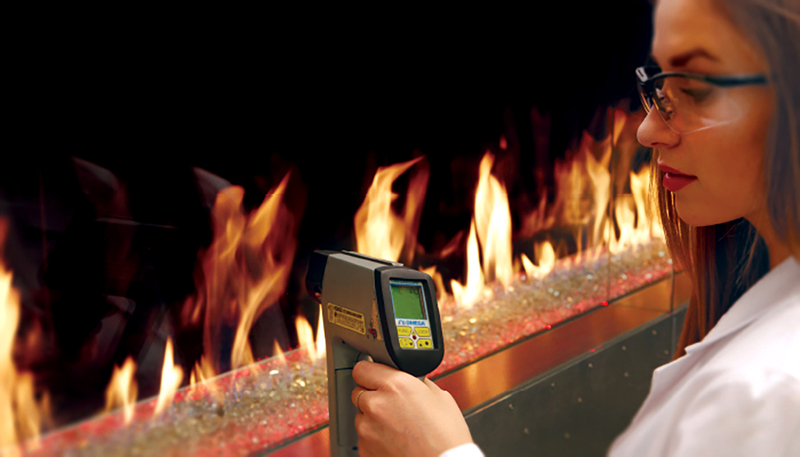 Safe Touch Glass™ reassures you that having a fireplace wherever you want one isn’t limited by the potential for harm. The non-heating fireplace’s exterior remains cool by way of the outside air that is ducted in. This eliminates the need for expensive, non-combustible building materials and gives you the freedom to bring your finishes right up to the edge of the frameless glass, with any building material you desire. 2017 Vesta Award Winner for Hearth/BBQ Components & Controls. Our uniquely streamlined fireplace designs achieve a modern look matched by our easy-to-use TouchSmart™ wall control interface. 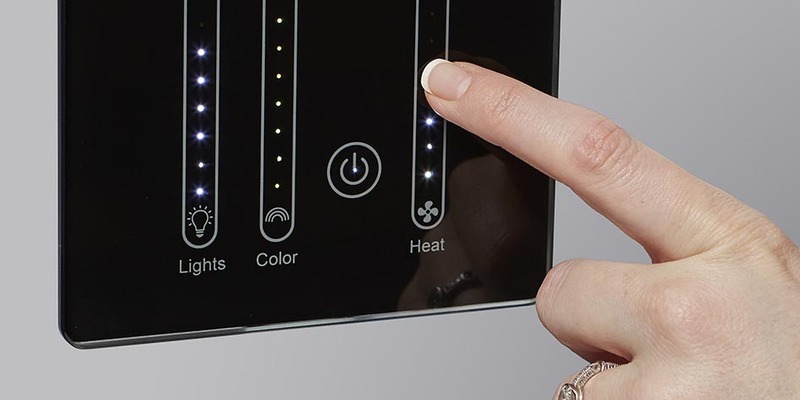 The sleek glass panel connects you to technical features that DaVinci has perfected, including controllable heat exchange, a 10-hour timer and a fascinating array of LED lighting to help set the mood. Available in black or white finishes. 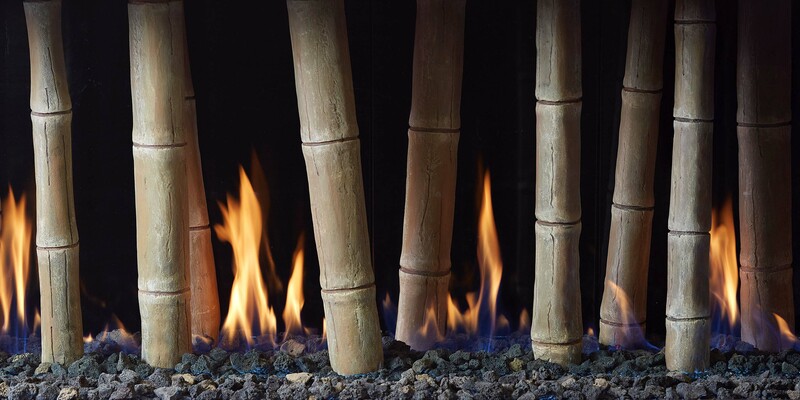 Transform the overall look of your DaVinci Collection fireplace with transitional Fyre-Art™ options. We handcraft our Fyre-Art™ inspired by real pieces of driftwood and time-worn stones to offer the most detailed and realistic media available. 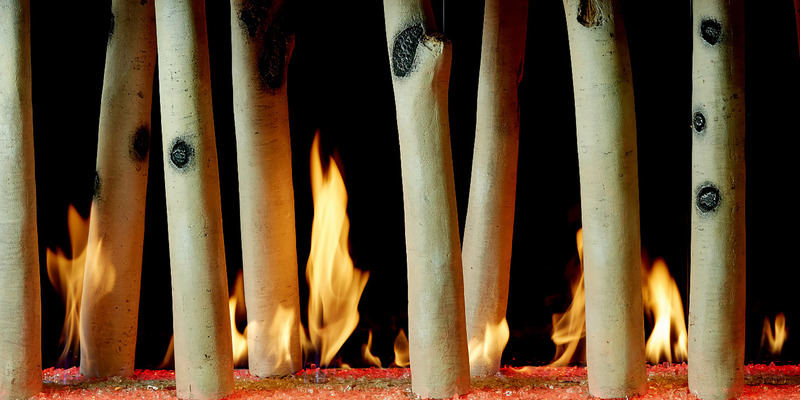 Plus, with a rare level of detail and realism, our artisan-crafted Bon-Fyre™ logs are cast from real birch and individually hand-painted to heighten the exquisite beauty of the vertical and square Maestro fireplaces. Accent your DaVinci fireplace with a 2″ matte-black trim or an impressive hand-hammered IronWorks™ creation individually produced by the blacksmiths at our in-house custom shop. IronWorks™ trim features hammered, textured surfaces and intricate detailing, available in hand-rubbed Bronze Patina or Burnished Patina. These finishes are hand-applied and absorbed deep into the metal, imparting a rich luster and an artful look. 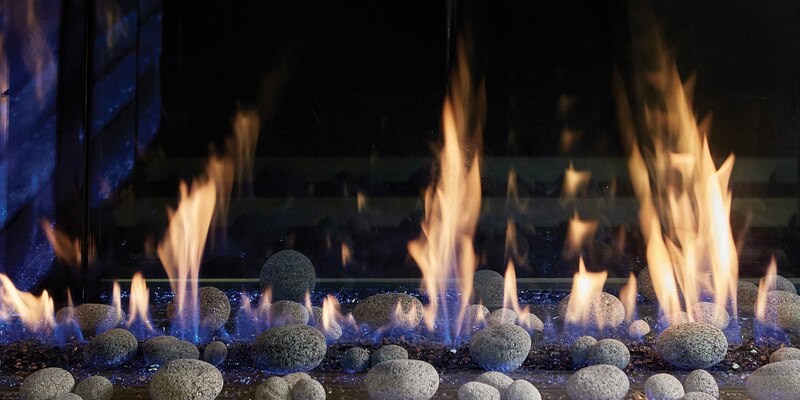 Our contemporary liners provide a dramatic backdrop to the dancing flames of your DaVinci Custom Fireplace™. Shipped standard with either a beautiful black or silver paint finish, or a mirror-like black porcelain finish that adds incredible depth and heightened ambience. To push the envelope of style and design, upgrade to the one-piece black glass interior liner for the most breathtaking presentation of fire. Intrigued by what you see? Allow a DaVinci advisor to tell you more. ©2018 Travis Industries, Inc., All rights reserved.